In his remarks, Durbin quoted Congressman Paul Ryan from 2013: “We all must acknowledge that we have an immigration system that’s broken. It is not serving our interest as a nation. Our broken immigration system does not serve our national security interests. 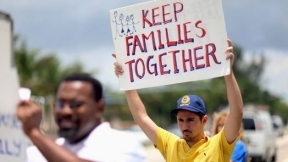 Our broken immigration system does not serve our economic security interests. Our broken immigration system does not serve our family interests. And so, when Republicans and Democrats look at this situation and see something that’s broken, we need to fix it. …We have to offer people a path to earned legalization. We have to invite people to come out of the shadows.” Rep. Ryan was speaking at a joint appearance with Congressman Luis Gutierrez in Chicago, Illinois. 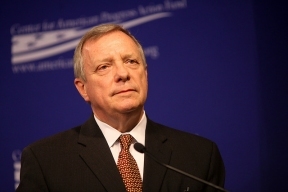 In April 2010, Durbin was the first member of Congress to call for the establishment of Deferred Action for Childhood Arrivals, or DACA. For the past several years, Durbin has been updating the Senate regularly on the accomplishments and contributions of Dreamers who have received DACA. This year, Durbin has continued this tradition by updating the Senate about several Dreamers who are using DACA to give back to the country they love.